Take inspiration from this year’s National Grange Community Service Award Winners. As we mentioned last month, our own Ekonk Community Grange No. 89 in Sterling placed first in the Nation. Following are summaries of the projects each of the winners worked on during the contest year. The National Grange is happy to announce that Ekonk Community Grange #89 took first place in this year’s Community Service Contest! Fifty-two participating members of the Ekonk Community Grange contributed 21,001 hours to their community service projects, along with the help of 197 community citizens who themselves contributed over 800 hours! New projects for Ekonk this year included:  a Grange pavilion; Sterling Town Halloween Party; and a funsraiser for Kenneth Phaiah an EMT who is fighting a very serious intestinal disease he inherited while working. Ekonk along with others raised more than $3,000 for Kenneth. They work closely with the town library and Sterling Recreation Dept. A special project dear to their hearts is letter writing and boxed gifts to the military, whom are former Junior Grangers. Ongoing projects for Ekonk:  Sterling Family Day participation; entertaining out of state Grangers; the American Legion Veterans Housing, Inc.; annual Meet the Candidates Night; Earth Day Contest; the Dictionary Project; Farm Tour participation; and adopt families just to name a few. They are using the internet to promote their projects which includes an active Facebook page. The Ekonk Community Grange has a long history of charitable community service, and does not refuse assistant to any requests for help. We at the National Grange commend the Ekonk Community Grange for their unyielding devotion to helping others in need. Well done Stanford Grange #808 for being this year’s 2nd place winner of the National Grange Community Service Award. Not only are we celebrating them in the National Community Service category, but they have also been recognized this year for the 5th consecutive year as a Distinguished Grange. Stanford Grange worked on several projects this year. A new project was for Creative Crossroads, which is dedicated to all aspects of art. Creative Crossroads was headed by their own active Grange member Martine Vermeulen, who set up the project to make sure artists in all disciplines had space to reach local audiences. Other projects included:  55th Annual Stanford Community Day; FFA Fall Agricultural Festival; Meet the Candidates forum; Election Day Spaghetti Dinner, Pine Plains Community Food Locker; fundraised for the John Flood Family who was left homeless after a fire. These are only a few of the community activities Stanford Grange is involved in. Thank you to everyone in the Stanford Grange for all your hard work! Good job Clear Lake Grange #692 for taking third in this year’s Community Service Contest! We are so excited to include them on this list. The members of Clear Lake Grange have put in over 2,100 hours into their community service projects. Clear Lake Grange chooses community service projects that will have the most impact on their community as a whole. This year they worked on more than 20 different projects. They sponsored classes with AARP for the Mature Driving Classes and they have assisted victims of domestic abuse. Clear Lake collected food and money for the Aitkin Area Food Shelf, helped the Aitkin County Historical Society, Aitkin Health Services, Aitkin TRIAD, and Aitkin Women of today. They also support the Ronald McDonald House, the Bell Ringers of the Salvation Army, and Servicemen Projects for military at home and abroad. Thank you to everyone in the Clear Lake Grange #692 for all your hard work! Well done Maple Grove Grange #148 for taking fourth place in this year’s Community Service Contest! Eighteen participating members of the Maple Grove Grange contributed more than 100 hours to their community service projects, along with the help of non-Grange members in their community. The Maple Grove Grange focused on a new project this year, collecting and donating new books to the Barbara Bush Children’s Hospital (BBCH). All members of the Grange participated and allowed them to help BBCH’s library with the new books for rotation. They also continued with providing one meal per month for the Community Meal project, along with the town of Sebago, the food pantry, and the Nazarene Church. They placed flags on all Veterans graves in Sebago. Maple Grove also worked with the Sebago Lions Club and SES PTC to sponsor breakfast with Santa, project Linus for the Center for Grieving Children, the Dictionary Project, and the Main Grange Store. 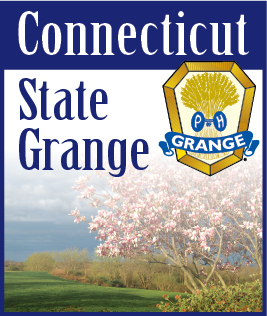 We at the National Grange commend the Maple Grove Grange for their unyielding devotion to helping others in need.